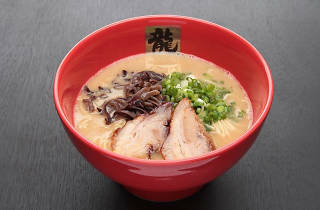 Nestled among other food joints and shops on the bustling streets of Old Town Pasadena is Ramen Tatsunoya. Communal wooden tables and some booths occupy the modestly sized restaurant with a giant trimmed tree trunk as the focal point in the room. 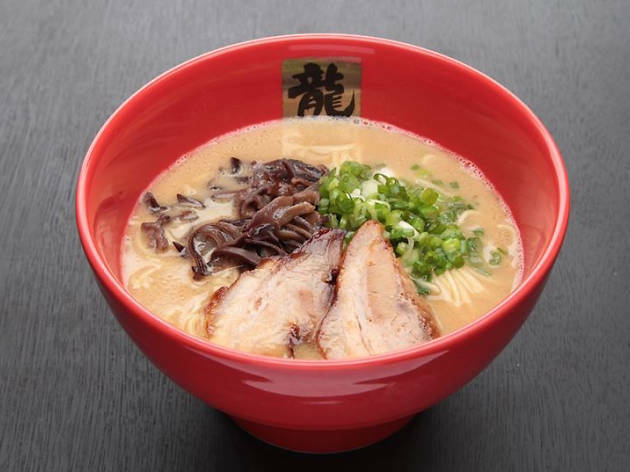 Once seated, choose between koku tonkotsu, jun tonkotsu or spicy tonkotsu as the broth base and top with egg, dried seaweed, green onion and chashu. The menu is straightforward and simple, but high in quality with an option to try heir homemade silky coconut flan for dessert. A selection of beer is also available.